Zodis Hot Tap instant portable propane hot shower is complete with convenient push button ignition and a powerful 6 volt pump provides comfortable showers anytime, anywhere. Convenient 4-gallon storage container doubles as a water container. The Hot Tap Travel Shower heats water on demand using standard 16.4 oz propane cylinders. Convenient 4-gallon storage container doubles as a water container. 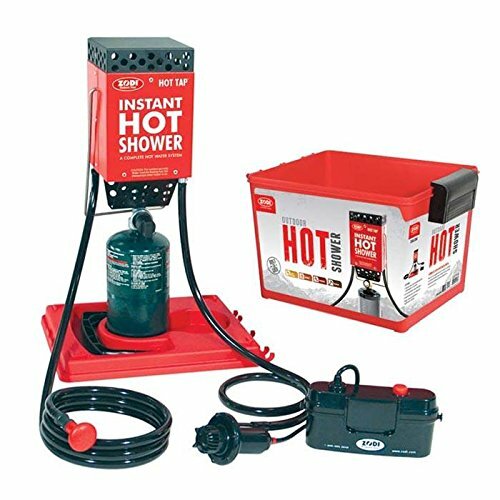 The Hot Tap Travel Shower heats water on demand using standard 16.4 oz propane cylinders.